Over the years I've probably reviewed at least 30 different accessory lenses for the iPhone and a handful for the iPad. Generally, the accessory manufacturers have some way of aligning the lens with the camera lens on the iOS device, generally using either some sort of clip or special case. 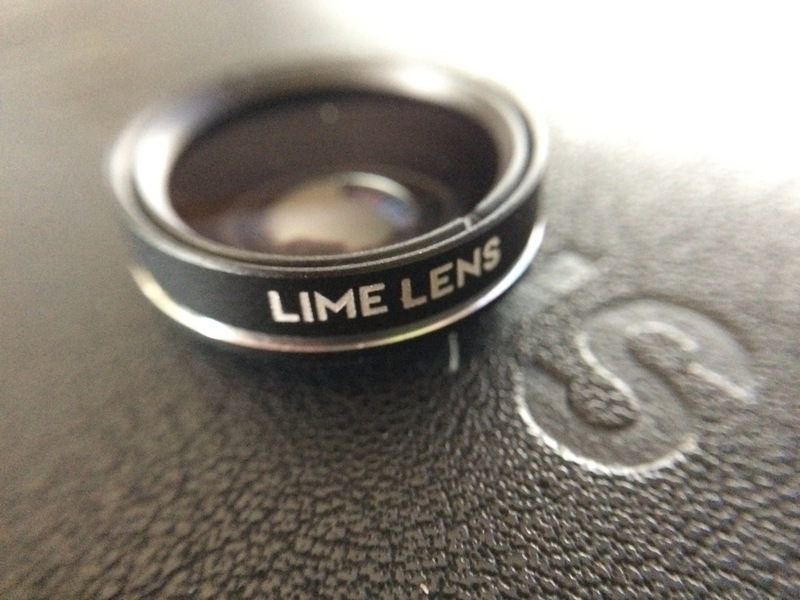 Today I'm looking at the Limelens Lens Set (US$49.99 sale price) from Capetown, South Africa-based Limelens that's a bit different in that it works with just about every iPhone or iPad made. The design of the Limelens accessory kit is pretty smart. You look at a chart and find your device to see which of three small plastic stick-on clips to attach to your iPhone or iPad. For example, an iPhone 5s uses a "B" clip while an iPad mini 2 takes a "C" clip. Next, you determine which position -- facing left, vertical, or right -- to place the clip (called a Limeclip). The next step is to take a small clear plastic alignment "target" and place it into the Limeclip, line it up with the center of your iPhone or iPad camera lens, then remove the film backing from the adhesive on the Limeclip. All of the alignment is pretty much done by eyeball, which is why I think the clip was slightly off of center. There needs to be a better way of getting the Limelens lenses precisely aligned with the lens on the iOS device. I also have an issue with the alignment target; it's clear and it's small, so if you happen to drop it, it's like looking for a non-tinted contact lens on the floor. After my initial alignment I discovered that I couldn't find the target, which should have a bright colored edge to make it visible when dropped. Once the Limeclip is firmly attached to your device, you remove the alignment disc and can choose one of the two included lenses -- The Thinker (10x macro/0.67x wide-angle) or The Captain (190° fisheye lens) -- to place into a groove on the Limeclip. The entire kit includes cleaning cloths for the lenses (and the area where you'll be sticking the Limeclip), a trio of stickers for your favorite computer or tablet, the lenses, the Limeclip, and a nice zippered case to put everything into (see below). Each of the lenses includes a pair of lens caps to keep both sides protected. Even at the usual price tag of $99.99, this set is less expensive than most other competing lens kits. So how does it work? Let's try it out. The Limelens lenses are made to work with a "naked" device with no case, so I decided to try it on both an iPhone 5s and an iPad mini 2. The iPhone 5s uses the "B" clip while the iPad mini 2 uses the "C" clip, so I conveniently had two test devices on hand. Installing the Limeclip was simple, although I accidentally dropped the clip onto the back of the iPhone and had to pull it off to properly align it. Once the Limeclip is attached, it's an easy matter of removing the lens caps from the lens you wish to use, aligning a "tracing edge" on the back of the lens with the groove on the Limeclip, then twisting the lens into place to hold it securely. As for photographic quality of the lenses? Well, see for yourself. I was happy to see that the Limelens lenses had none of the problems I've seen with other accessory lens kits in terms of vignetting (dark areas in the corners of images). However, what it lacked in vignetting it made up for in terms of blurring in the corners. This was especially apparent with The Captain fisheye lens, but even visible with The Thinker wide-angle lens. The bottom line? I think the Limelens lenses are pretty good, but photographers need to know the limitations of this lens kit. Don't take a fisheye photo and expect the entire thing to be in clear focus, and realize that your macro shots are going to have a very short depth of field. I'm hoping the manufacturer decides to keep the price of the lens kit at $49.99, as that will help it to compete with much more expensive kits that -- frankly -- have issues as well. The Limelens kit is well packaged and the carry case is useful in keeping things protected. My only major beef is the alignment process, and the clear and easily lost "target".